Please join me in welcoming Flynn Bickley to the Front Room Gallery at Juan Alonso Studio, September 7-22. "Flynn Bickley is a queer, trans, mixed-media sculptor and dollmaker from Seattle. 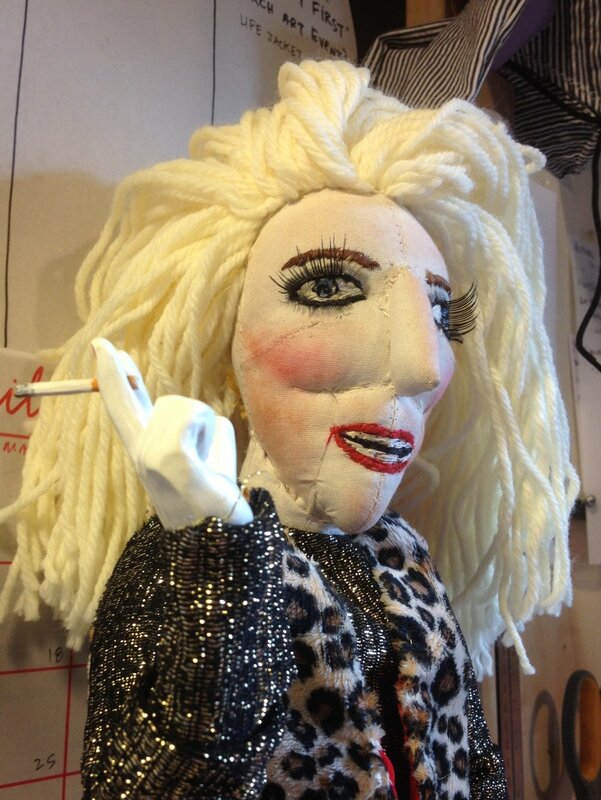 Some of his work reflects a long term crush on a fellow queer/trans dollmaker, Greer Lankton. Other work barfs out his feelings about the current state of our country and politics. The rest of his work explores his transgender childhood from outer space, a drunken mermaid, sequins and other odd, dusty corners of our human experience. He would love to meet you sometime." Greer, I Love You, 2017, fabric, polyfill, sculpey, acrylic, 12"x3"x2"